First, a pink nursery was envisioned and as we were going through the scheme it felt too pink. Then, BAM! The chicest wallpaper, which we've been coveting forever came along. 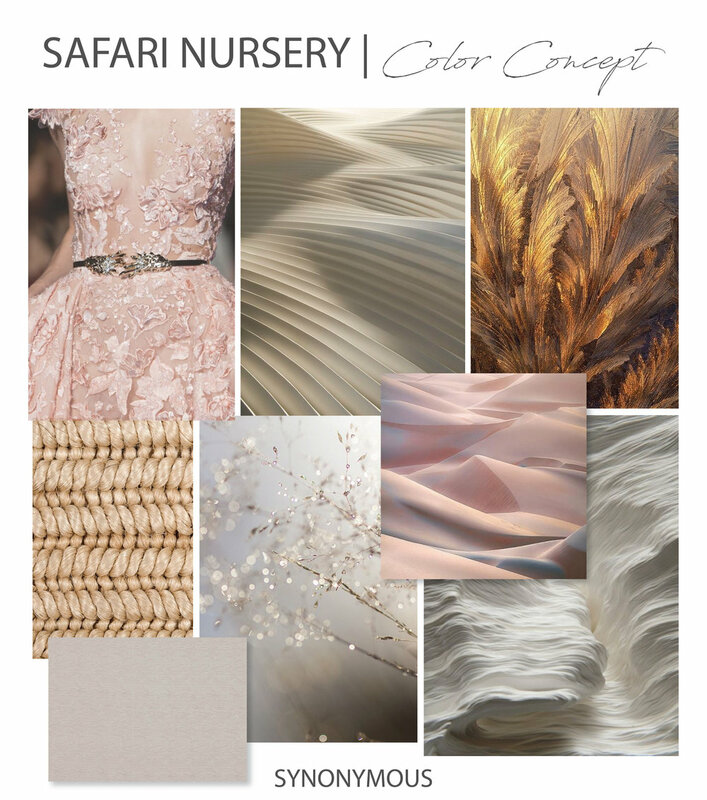 That was the starting off point to this sweet, subtly safari themed baby girl’s nursery. In reality, with the switch of the pink ottoman (don’t you just love the shade of it?) and throw pillows to a more boy approved color, this room is suitable for anyone because it’s more neutral than anything. Notice the cute wicker seat, a great alternative to the Serena & Lily hanging chair we all know of. The incredibly chic and whimsical llama sconces are the perfect addition, accompanying the more depth filled animal prints above the crib.